Robson Rak are an established, award winning firm who offer you a holistic design service of architecture, interior design, and interior decoration. Each project we design shares a common emphasis on innovative design, longevity, sustainability, and client value. We consistently strive to challenge the architectural process to find new solutions, processes, and ways to live. Influenced by site, program, budget or other parameters we’re committed to making every project unique, real and story telling. Kathryn Robson; principal architect comes from an extensive working history in Europe and Australia. 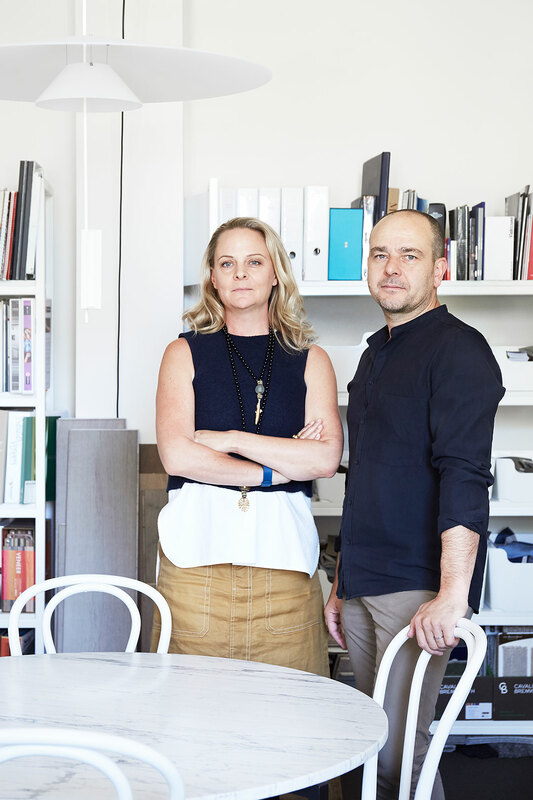 Chris Rak; principal interior architect has contributed to cutting edge design in leading Melbourne design offices, which followed a multi disciplinarian fine art background. Our experience, personalities and shared perfectionism combine to create a stimulating and productive collaboration, where material and craftsmanship result in timeless and elegant architecture and interior design.